Mengenang (Memory), a wind driven sound installation made with bamboo, feathers, macadamia nuts and felt. 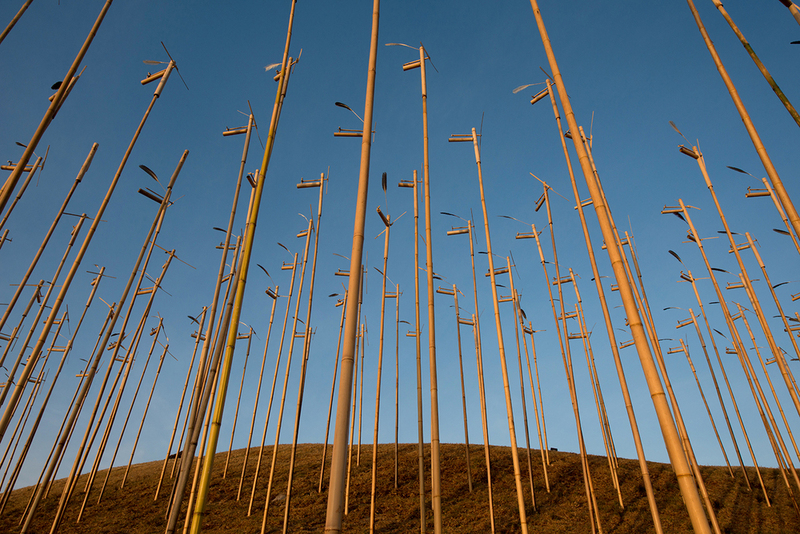 The bamboo resonators are tuned to a D minor to create a commemorative sound forest. The original installation of Mengenang (Memory) was created to commemorate the Bali bombings that occurred in 2002 and 2005. 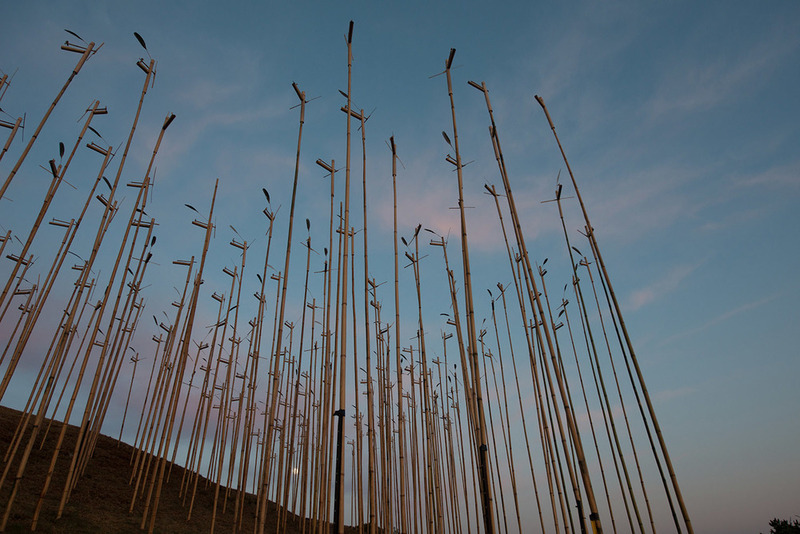 The 222 victims were represented by 222 bamboo resonators, tuned to D minor to create a sound forest on the headland.